Transition Crouch End and Hornsey Vale Community Centre held their first Alternative Clothes Show- a local response to a significant global issue- that is the hidden human and environmental cost of the mainstream clothing industry. Crouch Enders were invited to rethink their wardrobe at an afternoon packed with stands, displays, activities and films about Fair trade clothes, clothes recycling and up cycling projects, local clothes designers and makers, and many people came to sell on their unwanted clothes- all showing ways of embracing style with less harm to people or planet. The sustainable cafe was busy as usual, selling Fair trade / home made produce and producing zero waste. Then it was time for lights, action and music - a highlight of the afternoon was an original Real People All Ages Catwalk show, with over 30 stylish models striking the pose, all wearing alternative clothes. 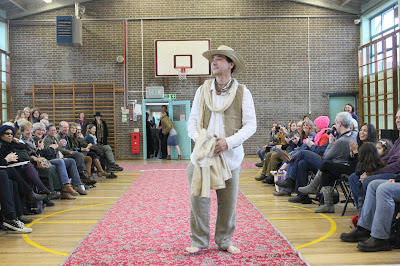 The crowd was entertained by a Fair Trade Parade, Charity Shop and Vintage Glamour sections and many models in beautiful clothes they had Hand Made or Up Cycled themselves. The fun finished up with an Extraordinary End and spring in the air- some larger than life insects and green spirits paid a visit, to spread the word about the wonderful green growing spaces in Crouch End. 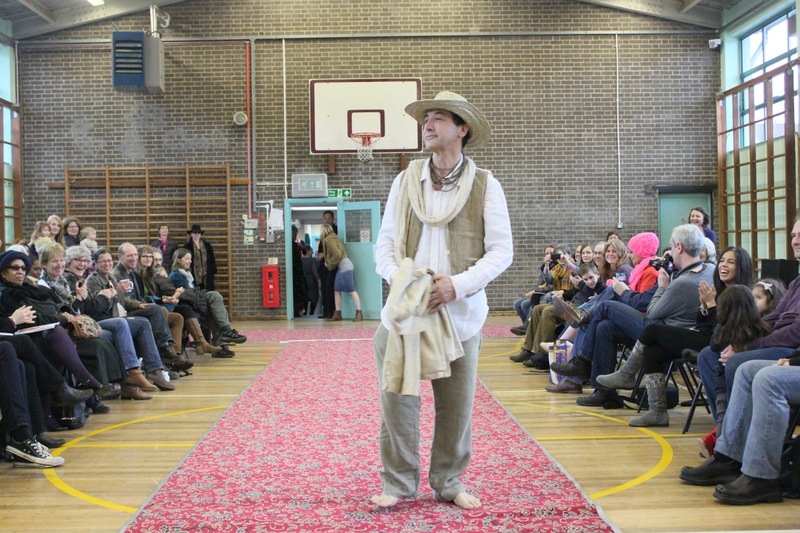 If you missed it, you can catch up with the catwalk here.